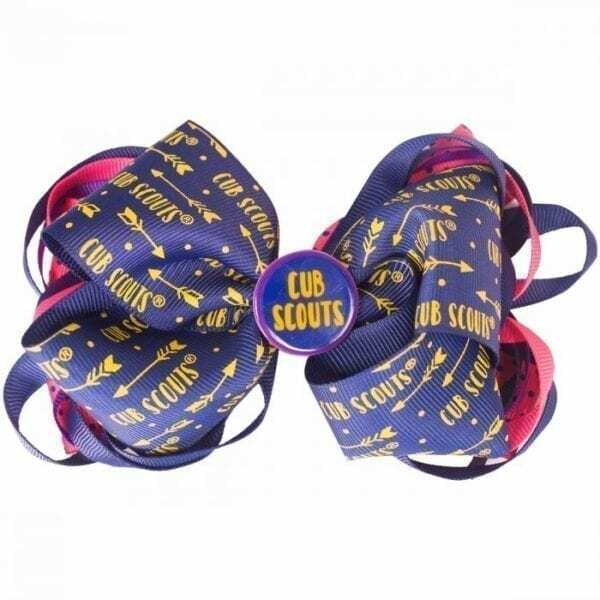 This large-size girl’s bow features pink, purple and patterned ribbons with the words “Cub Scouts” and yellow arrows. It has a large barrette clip fastener and the button at center reads “Cub Scouts”. 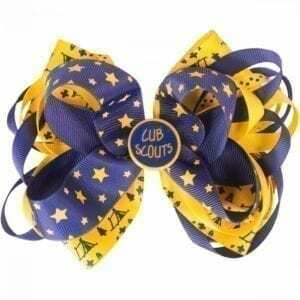 This hair bow is made from 90% polyester, 5% iron and 5% plastic.